Situated on the gentle slopes of Roman Hill in the valley of Kleine Windhoek, St Paul’s College is an oasis of opportunity. Built on the faith-firm foundations of the Tilburg Fraters, the School nurtures the development of our pupils’ full potential. We offer an education for boys and girls from Grade 1 to Grade 12 in an intimate and caring environment. With its 90+ year tradition of proven academic excellence, Windhoek High School is rated one of the top 100 schools in Africa. In this multicultural school, we promote a holistic learning environment to mould the younger generation to become balanced, motivated and well-educated Namibian citizens. Being a German school abroad, our main aim is to further the German language and culture in Namibia. However, we accommodate children of other language groups in our school. Therefore you will find besides the German speakers, children who speak English, French, Afrikaans, Oshivambo, Nama, Damara and Otjiherero. In following the variety of languages which are spoken and taught here we offer German and Namibian final examinations. Thus we are the first school in the world which offers the German International Abitur (DIAP) in the framework of a shorter period namely 12 instead of 13 years. Our students are able to qualify after 12 years in this international examination which is accepted and gives access to any university throughout the world. Alternatively we also offer the possibility to write the Namibian Senior Secondary Certificate (NSSC) which gives access to any Namibian or South African tertiary institute. A high standard of performance is set for learners as well as teachers in the way they perform tasks or conduct themselves on school grounds. This has a positive effect eventually on all aspects academics. mission is to be the best academic school and to be known for exceptional achievements on all levels. this list is completely WRONG. i dont thing those are the top 10 school in Namibia. Please up date the list. want to know more about performance of TANBEN COLLEGE. The information of the site is irrelevant. Khomas region do not have anymore good performing schools! The best schools are, St. Boniface, Duneside Private High, Namib High, Otjiwarongo High, Etosha Secondary, Canisianu Roman Catholic school, Negumbo Secondary and WHK + OTJIW Gymnastic Private schools. Those are the good performing schools. COSMOS HIGH IS ALSO ONE OF THE BEST SCHOOLS IN NAMIBIA AND YOU KNOW WHAT YOU PEOPLE ARE WAY To STUPID EVERY TIME IT’S JUST THIS HIGH SCHOOLS THAT ARE IN TOWN NO MAN YOU ALSO CONSIDER SCHOOLS IN KATUTURA AND BEYOND THEY ARE ALSO JUST THE SAME YOU’RE REALLY MAKING THEM FEEL THAT THEY ARE NOT IMPORTANT OR IS CAUSE CONCORDIA LEARNERS OR HOCHLAND LEARNERS ARE RICH……. Kindly send me information about Windhoek High School, Centaurus and st pauls college. What was this list based on? or what criteria did you use? cause some of this school are poor performing school and the best performing school are not in. I love all the schools that have been mentioned above, but its time to update the top 10 list……. Otjiwarongo Secondary School is 1 of the best schools in Namibia.. Please, send the top 20 schools if you have this ranking. And yes, I would like to know more about Windhoek Gymnasium 2012: the performance and the history of the school. I have a very good impression of this school some years ago.. Please, Colette! Have you heard of Windhoek Gymnasium Private School? The school was established in January 2007. For the past 6 years it has been named the Best Private School in Namibia by PMR Africa. If you send a contact email, I can send you information about the school and a summary of the past 5 years’ achievements. Its very disappointing to see that we are Letting our own country down, by not fighting For the Greatness of our Education. I was once invited to attend the Nation Conference on Education in 2011 and with much Greatness it truly as a success, Not only the outcome was great, but Accommodation was at its peak!! 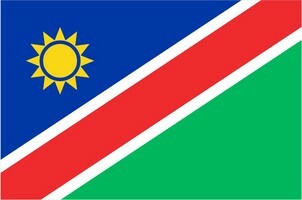 As a young Namibia we all want something Out of our own Country. i do not think that there is Actually anyone out here that can say that I wanted to be Born In Namibia, but eventually it just happened. i completed my Grade Twalf in the year 2010 and passed with an unfortunate aggregation of 40 Points and whats seemingly disappointing is that i was and still am unable to get a Government loan or a sponsorship for that matter!! Have i given up?? maybe!! why?? I tried and am still trying but nothing seems to come my way! i guess it would be awfully great if i just get out of the country, study somewhere else and develop other developing countries other than the One that i was Borne Into!!!! I strongly believe that there could be reasons why schools in towns are performing better than school located in villages. Sorry I meant WHS should NOT be so highly rated on this list. I agree this list is very outdated! I don’t believe that WHS (Windhoek High School) should be rated so highly on this list. Otjiwarongo Secondary School (OSS) in my opinion is a very excellent school and should be included in this list. With their highly rated academics and vast sport and cultural achievements, OSS certainly deserves to be part of this list. Please update this list as soon as possible! I also believe that this is jst crap, mostly only whk schools have an introduction, jst where do thy leave gimnasium? VERY INTERESTING COURSES I WOULD LIKE TO APLY FOR MY DAUGTHER,WERE WILL GET THE APLICATION FORM? IWOULD LIKE TO APLY FOR MY DAUGTHER WERE WILL I GET THE APLICATION FORMS?BECAUSE ITS A VERY INTERESTING COURSES. in terms of schools and ect, i cant seem to understand why St. Boniface is not ranked as one of the top performing schools in Namibia. I can without a doubt say that St. Boniface has shown remarkable Achievements over the years. Astonishingly i say, they this far have proven to produce the best students our country can offer!!!!!! i don’t know how they do it, but they just do!! I’m taking a chance here to inquire about the availability of teaching posts on behalf of someone I know in Cape Town, South Africa. Besides being a qualified school councillor and Life Orientation teacher, the lady has been awarded an honours degree in anthropology from the University of Pretoria, and a higher teaching degree from UNISA. She has taught Arts & Culture for many years from Grade 1 – 12. Further, she is currently employed as a secondary-school teacher, subject head and de-facto departmental head for Afrikaans and Art in a dual-medium school. Within the past 5 years, she was selected as one of the top 30 teachers in South Africa, and participated in the British Consulate’s power-in-the-Voice development program for secondary-school learners (poetry, hip hop, and rap). In the past, she has also mentored learners to perform at the Pretoria State Theatre, and in 2011 produced an annual, school musical play for 350 learners within 9 weeks on a very-low budget. She is very-hard working, passionate about the success of learners, competent to assist them in finding their skills, and patient in developing their knowledge and competencies. She is well loved by the learners, colleagues, and parents. Is there a school in Namibia that would be interested in acquiring an outstanding, colour-blind, caring educator who has a big heart for children? Please feel free to respond to me at nanogr8@live.com. I am kennedy orlando igoh,a graduate of agric econs and ext. from the university of calabar in Nigeria.i also have a PGD in boilogy educ.i am interested in teaching in secondary schools in Namibia.i have been teaching science in secondary schools for the past 6years.am presently teaching in the republic of seychelleles. I am writing to request if you have any vacant post in your schools for me.thanking you in anticipation of your consideration. Are there any vacancies at the schools for a Secretary or Receptionist or any office work. I am a South Africa and I am prepared to get a work permit and relocate should I get the post. with due respect, I am Md , Mizanur Rahman from Linguistics Department, University of Dhaka, completed my graduation, & the awardee of The Duke of Edinburgh, researching on the problem of appropriate use of preposition & its solve ,sound knowledge over British Or American accent, interested to admit in your university for the Masters program. It would be better for me if i have been informed about Linguistics related scholarship in your university. If there is available please inform me. Hi sir/ma.i from nigerian.i will like u to help me in getting scholarship into ur school.it will be of god mercy that u help me in getting it.i will like u to take this information use it to contact me +2348031136442,chibuezearuwe@ymail.com.pls sir/ma help me in getting this admission. i will not like my dream to be a waste.please waiting on ur reply. Dear Timotheo I carefully, read your petition on the net I am writing form Angola and Have many projects on education if you want, we may do partnership for you to come to Angola and open our own School. DEAR SIR/ MADAM I AM TIMOTHEO UNAJIMU, A TANZANIAN BY NATIONALITY. I HAVE CURRENTLY COMPLETED MY BACHEROL; BA WITH EDUCATION, MAJORING IN POLITICAL SCIENCE PUBLIC ADMINISTRATION AND LINGUISTICS AT DAR ES SALAAM UNIVERSITY COLLEGE OF EDUCATION, I WOULD LIKE TO WORK IN NAMIBIA. SO IWRITE TO REQUEST IF YOU HAVE ANY VACCANT POST. OR IF POSSIBLE CONNECT ME TO OTHER SCHOOLS WHERE I CAN GE A JOB.